Essingen / Würzburg, Germany – September 2018 –J & M Analytik AG, together with the SKZ – Das Kunststoff-Zentrum (the plastics center) in Würzburg, have developed a modular process measuring system to advance quality assurance in the plastics industry. The inexpensive measuring system is based on spectroscopic probes for the control of important material parameters such as moisture, polymer degradation and color in the process. The request for seamless quality control in plastics production by monitoring and processing parameters with significant impact on the ongoing process is increasing. However, measuring systems based on optical spectroscopy, which can detect a large number of parameters from the spectra, are very expensive and too complex to use. Therefore, in order to simplify the application of spectroscopy in process control and to be able to offer a significantly cheaper solution, J & M Analytik AG and the SKZ, the largest plastics institute of its kind in Europe, have been cooperating for more than two years. The focus of the intensive collaboration is on injection molding, extrusion and compounding. This cooperation is already bearing fruit. Together, the modular system platform “ExtruSens” has been developed, which specifically determines different process parameters inline, using cost-effective LED illumination and semiconductor sensor technology. 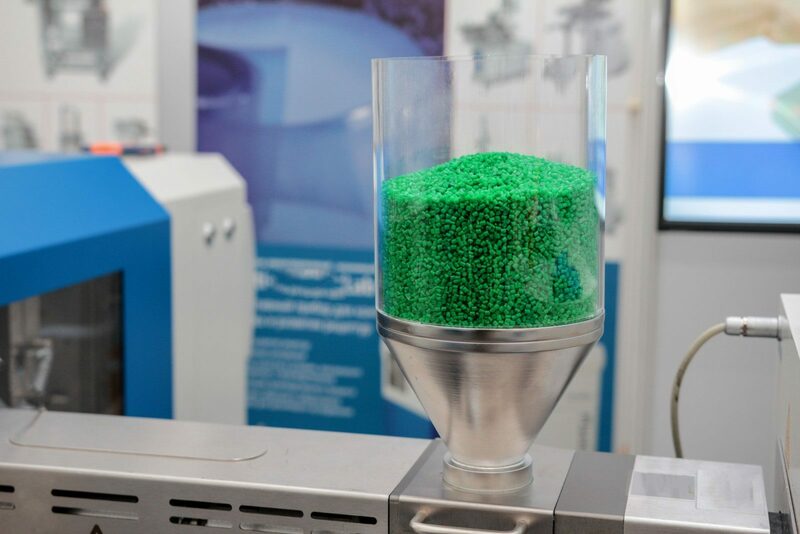 There are currently three basic functionalities available: Determining the moisture content of granules and powders; detecting the hydrolytic degradation of hygroscopic polymers such as PA, PET or PLA; and monitoring the color of the plastic melt for better insight into color changing and rinsing processes. The individual modules are available at a fifth of the price of classical spectroscopic solutions. With the new system, J & M Analytik AG is extending its portfolio with an innovative new product and expanding its activities in the field of plastics processing. Further fields of application for the ExtruSens platform are the food and pharmaceutical industries. The first stage of development of the system is fully functional and available to interested customers for trials. For further information please don’t hesitate to contact us. As the largest plastics institute of its kind in Europe, the SKZ has been providing practical solutions for questions on plastics and composite materials in the training, testing, certification and research as well as in the development for more than 50 years. The SKZ is supported by a powerful network of more than 400 companies. In research and development materials are developed with direct practical relevance, production processes and component properties are improved and evaluated under economic and ecological aspects. The results directly serve the operational practice in favor of quality and efficiency.